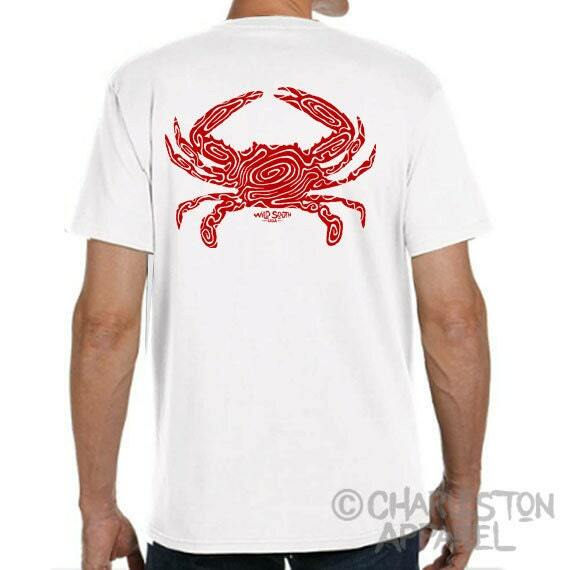 Part of our Primal Line, "Primal Cooked Blue Crab Shirt Design", is Hand Screen Printed on a soft 5.4 oz.100% ring spun cotton shirt. 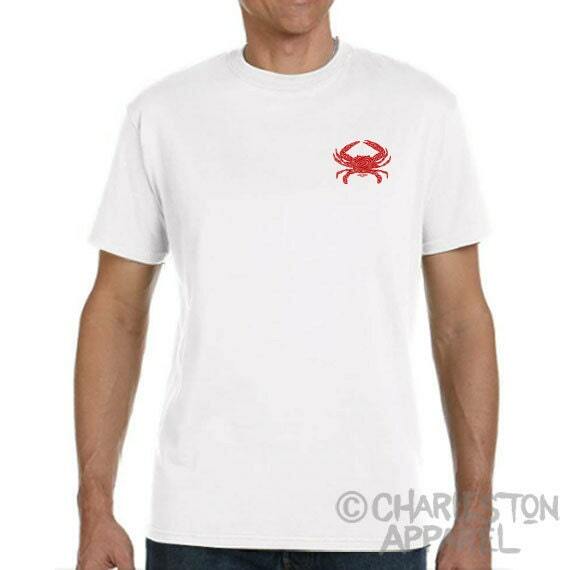 These shirts are 5.4oz, which has a mid-weight, soft feel. This shirt makes a great gift for him on any occasion, especially St. Patrick's Day, Valentine's Day, Father's Day, Christmas, and birthdays.